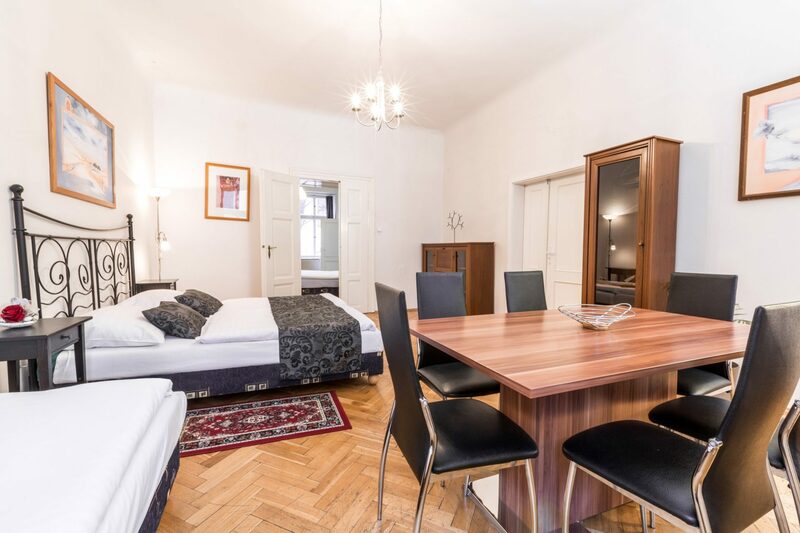 This apartment is located the very centre of Prague near by Wenceslas square. It takes only 5 minute walk to get to Old Town of Prague. 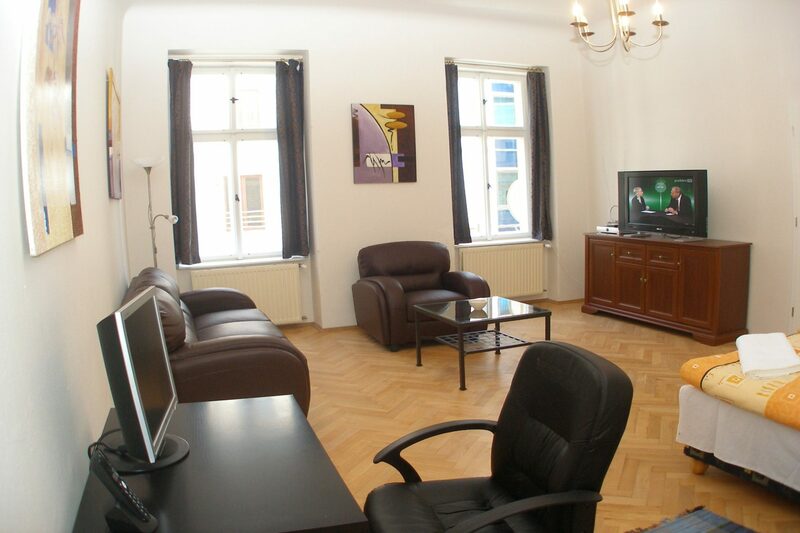 In addition to the Biskupský dvůr aparthotel, we also offer accommodations in another location – Štěpánská 51, Praha 1. 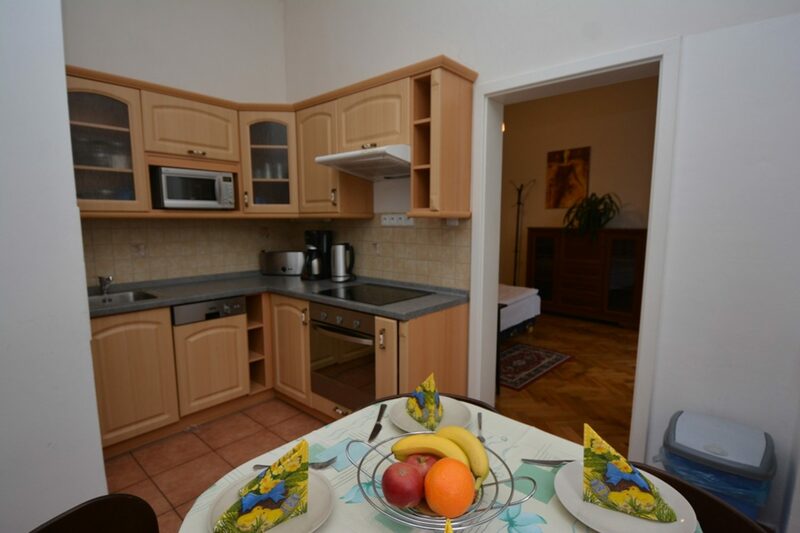 It is possible to reserve a three-room apartment here for 4 to 7 people. 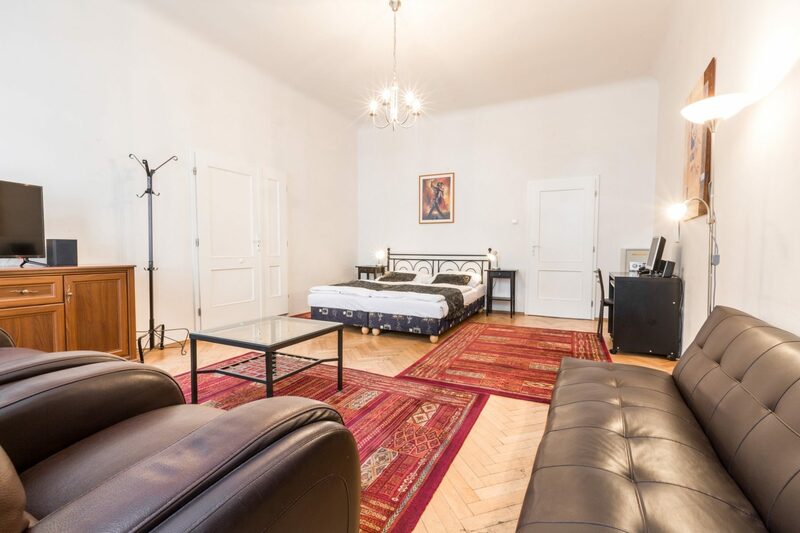 This apartment has the inimitable atmosphere of a flat from the end of the 19th century (high ceilings, parquet floors) – and it is located right in the heart of the centre of Prague, close to Wenceslaus Square, between the Muzeum and Můstek metro stations. 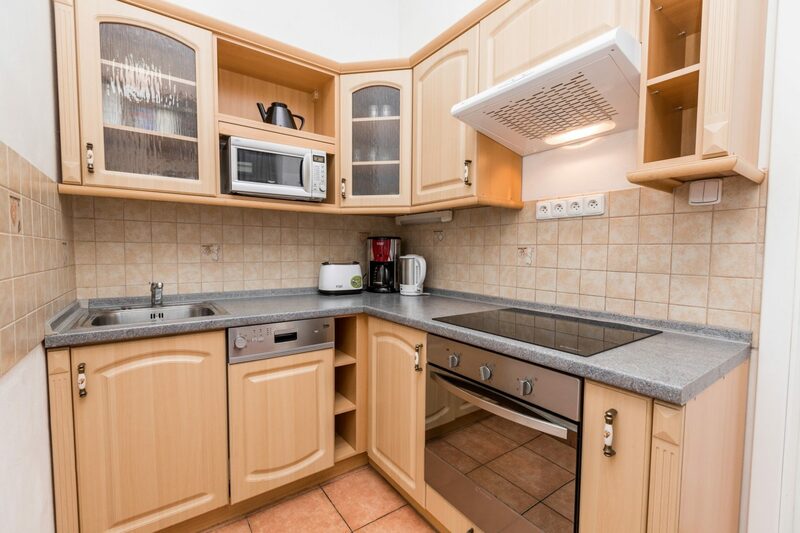 You will also find everything you need here to cook up a great meal: a dishwasher, stove with an oven and a ceramic hob, a refrigerator, microwave oven, electric kettle, drip coffee maker, toaster, etc. 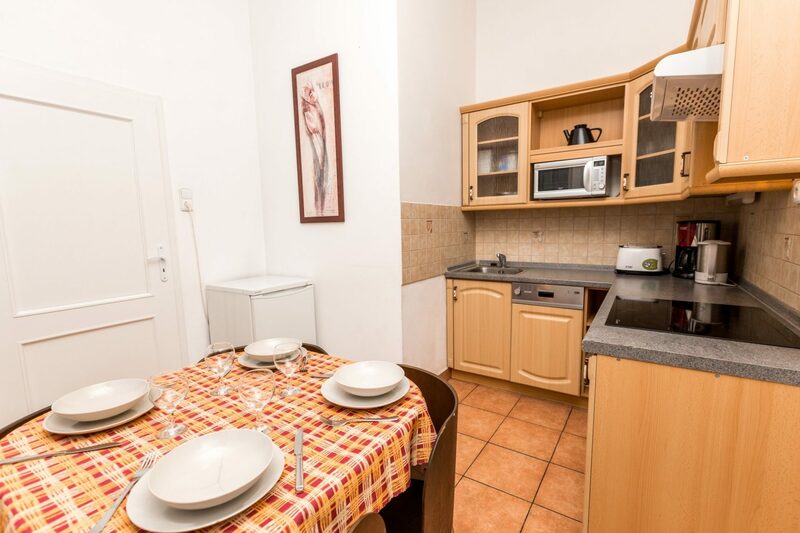 The basic price of the apartment includes: bed linen, bath towels, hand towels, dishcloths, the final cleaning and regular cleaning usually for stays from the fifth night). 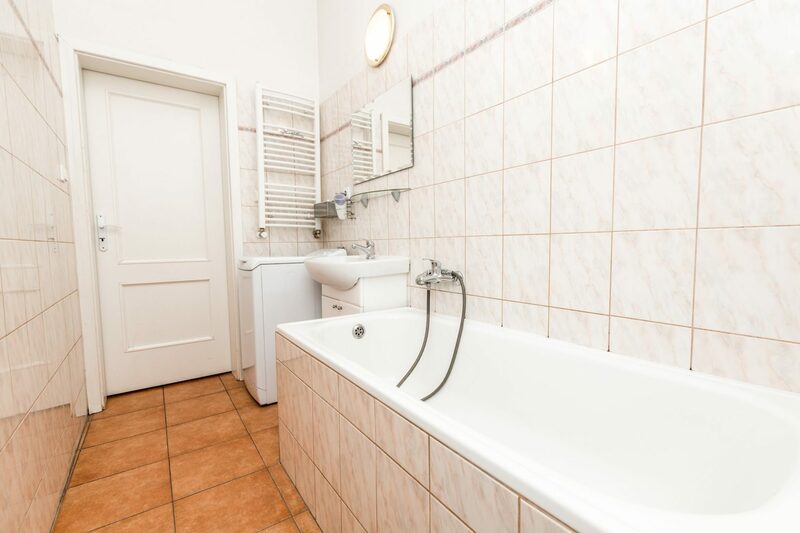 The basic price of the apartment includes: bed linen, bath towels, hand towels, dishcloths, the final cleaning and regular cleaning usually for stays from the fifth night). Warning – Important! 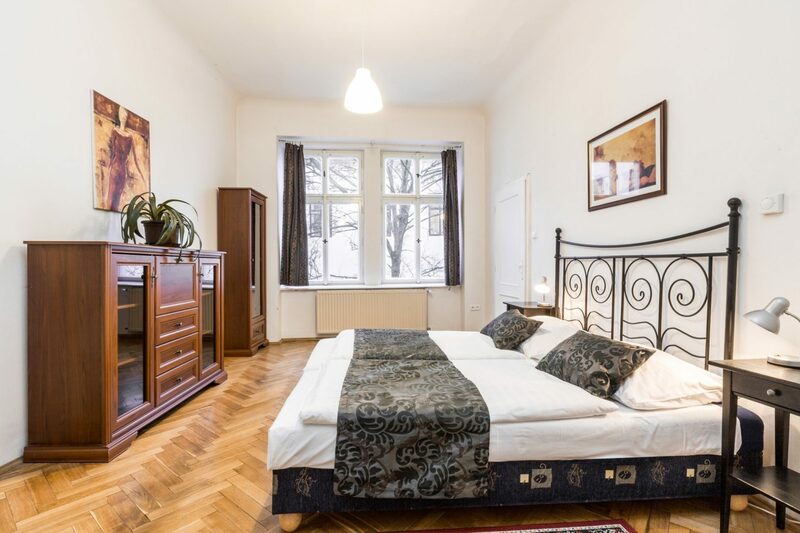 The check-in to this apartment is possible from 4 p.m., with check-out by 11 a.m. A returnable deposit in the amount of EUR 200/CZK 5000 is collected for the accommodations (a credit card authorisation is possible).